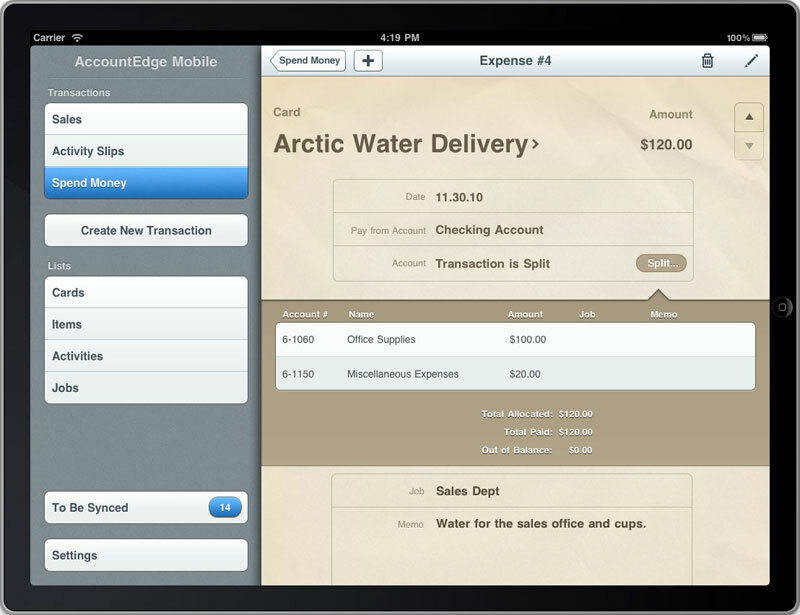 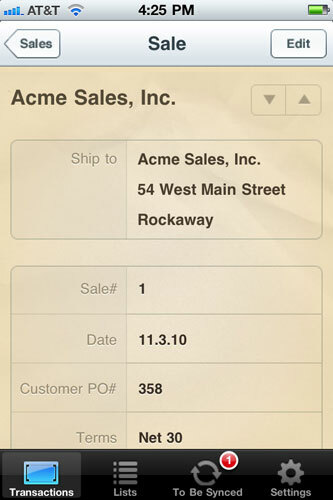 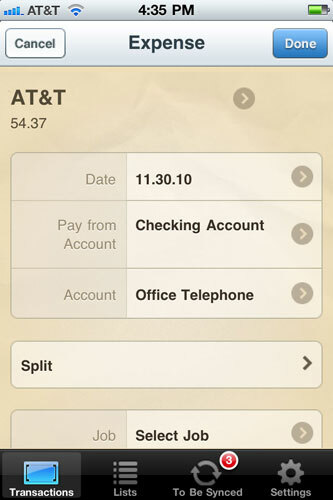 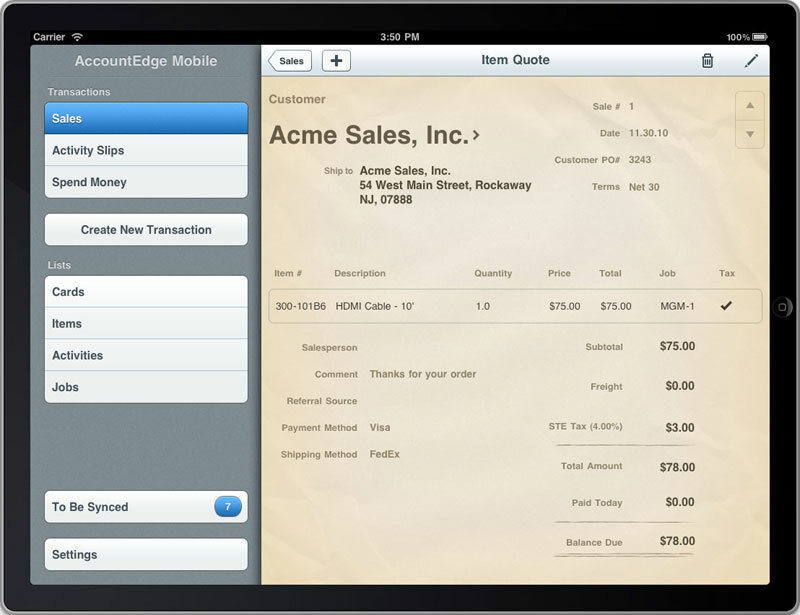 Enter and track your business expenses as you spend money or make purchases. 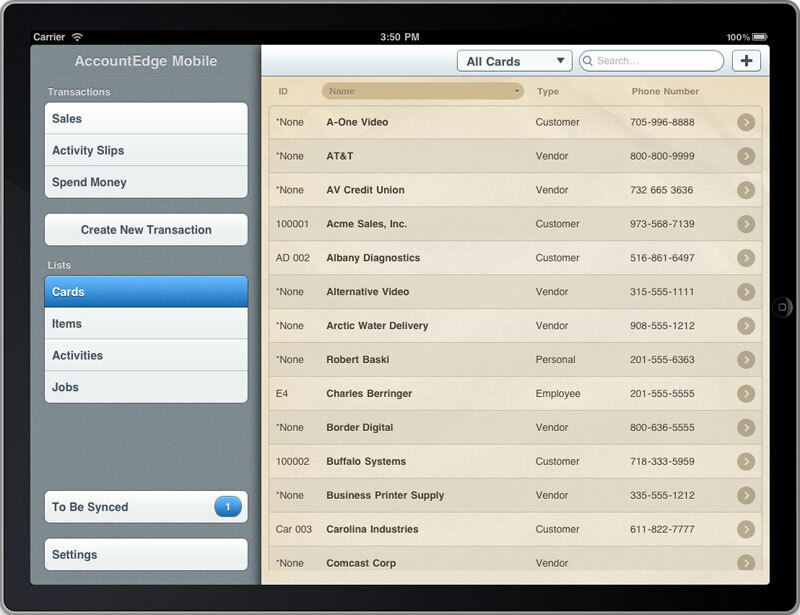 AccountEdge Mobile lets you access and edit contact information for all your contacts. 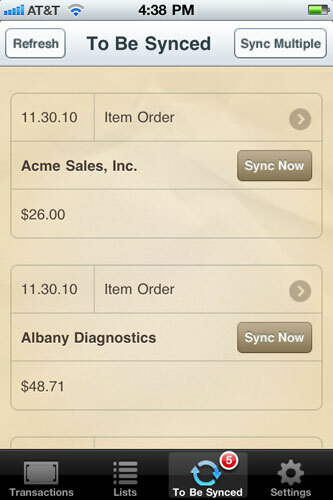 Sync your lists from AccountEdge so that you have up to the minute cards, items, activities and jobs information. 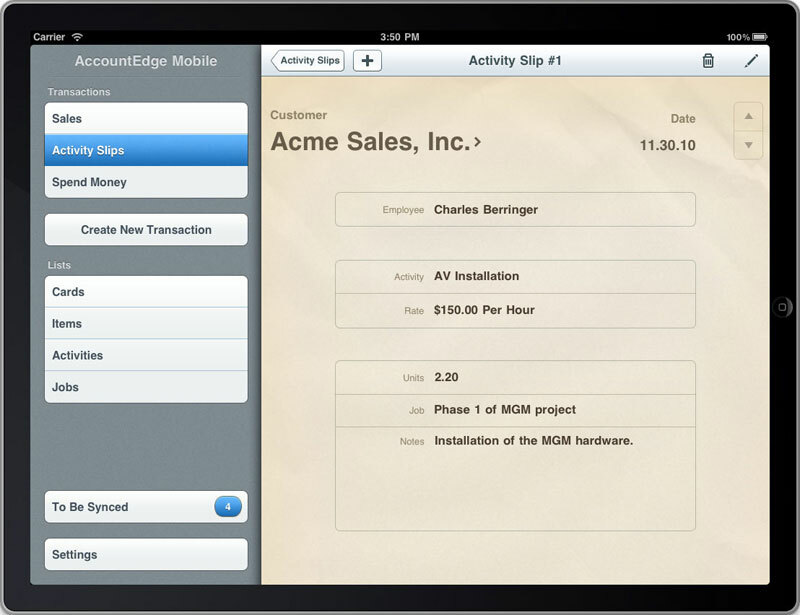 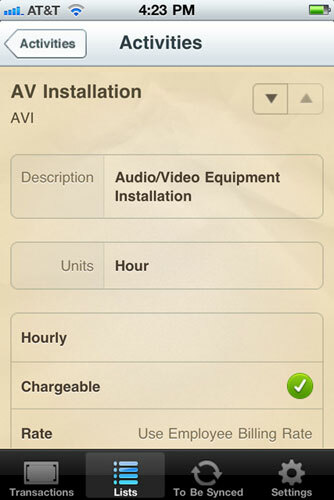 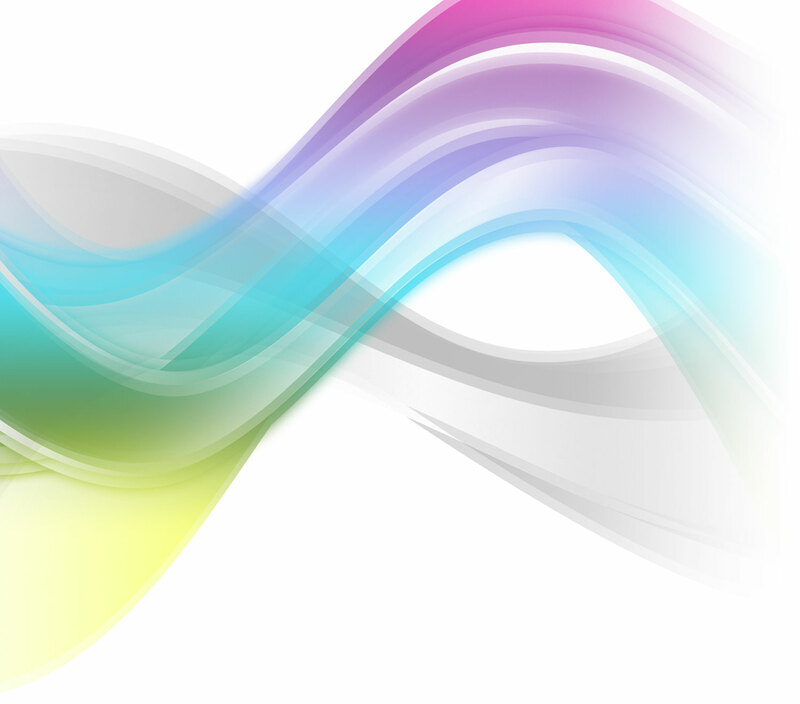 Sync your iPhone or iPad with your desktop version of AccountEdge for Mac or Windows.